Are the Romanesque mural paintings original? Are there any days with free visits? Can I get the documents of the library scanned? Can social events and company dinners be organised in the museum? Does the museum have a car park? How long does the visit last approximately? Is it permitted to take photos or make video recordings in the rooms? Is it possible to carry out work practice in the museum? Is it possible to draw and/or copy in the rooms? Is it possible to enter the rooms with a backpack? Is it possible to leave and enter again with the same ticket? Is it possible to pay by credit card? Is the access to the Library open to everybody and do you need to buy an entry ticket? Is the admission ticket valid for the whole of the museum? Is there a photocopy service in the library? Is there a recommended route for visiting the museum? Is there an audio-guide service? What are the opening times of the Library? What do the staff do on Mondays when the museum is closed to the public? What is the nearest public transport? What is the significance of the hand of Christ in the Majestat de Sant Climent de Taüll? When was the building constructed? Who are the most notable artists of the collection or which are the most recommendable exhibitions? 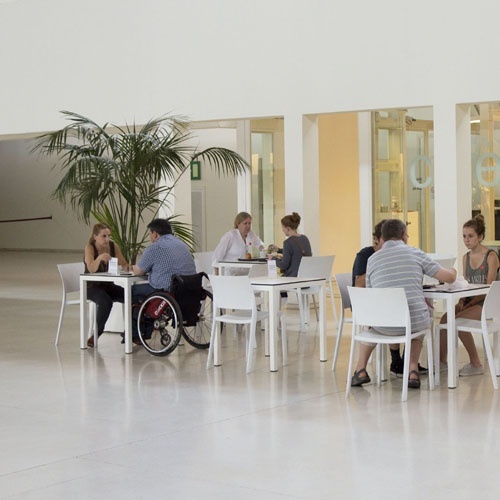 In the majority of the spaces, the museum is adapted for people with reduced mobility. There are lifts and platform lifts on the stairs. There are free loans of wheelchairs and foldable chairs. For more information you can consult accessibility.